Every game in a casino, including all online slots, has something called the house edge built into it. One way of thinking about the house edge, or house advantage, is as a percentage. If you have a 3 percent house advantage, for example, then for every $100 that you wager, the house will take $3 of it, and the other $97 will be paid out in prizes. Keep in mind that this is in terms of averages, so you can score higher or lower than this over individual sessions. Online slots have a little bit different way of discussing the house edge in terms of RTP. 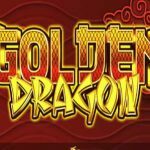 What is the RTP of an Online Slot? RTP is an acronym for “return to player,” and it’s sort of the opposite of house advantage. In the above example where our house advantage was 3 percent, a total of 97 percent was being returned to the player in the form of winnings. This is where the return to player percentage comes from, so we would say the RTP of the game was 97 percent. The higher your RTP, the better your results will be and the better your chances will be of having a winning session. Along these lines, you have two main options for increasing your RTP. First, you can simply pick games that have a higher RTP to begin with. Second, you can play some games in a way that will maximize the available return in that game. We’re going to address both of these options now as we look at three titles that all have available RTPs of more than 99 percent. Through a combination of good game selection and playing the games in a certain way, you can achieve this high of a return to player percentage. 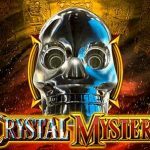 Monopoly is one of the most popular board games of all time, and Barcrest has capitalized on their licensing agreement to produce titles based on this board game with this online slot and others. The thing that makes the Monopoly Big Event slot so critical for our purposes is that playing with the big bet mode will allow you to have an RTP of 99 percent. This is compared to the 96 percent you’d get normally. There are two options for playing with the “big bet.” One is to play for €20 per spin, and the other is to play for €30 per spin. 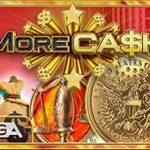 The extra RTP comes in the form of better payouts on the reels in the normal game as well as more favorable chances in the bonus feature, so you’ll get that extra value from everywhere in your experience with this slot. 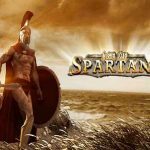 With five reels and 20 paylines of action, this is a high-RTP game that’s got a lot to offer high roller slots fans who want to get in on the action with the big bet mode. 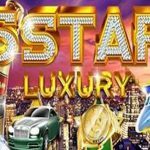 The main bonus feature in this game is based on a Monopoly-style round where you can get some extra value with sizable winnings available regardless of your bet size. If you get the Big Event symbol on the first, third and fifth reels, then you’ll trigger this feature with no preview. However, you can also trigger this with three stacked Big Event symbols that cover the entire fifth reel, and that approach will give you the red hotel preview. You’ll try to pick between chance and community chest cards to come up with three of a kind, and these are the two types of bonus cards available in the board game. You’ll win prizes based on what you earn from these cards. Another game by the same company with a similar concept is Ooh Aah Dracula. 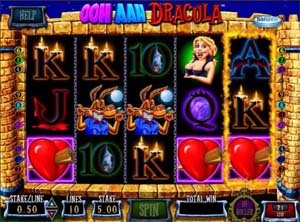 This time, the game has five reels and 10 paylines instead, and it’s based on a spooky Dracula theme that’s fitting for the Halloween season. 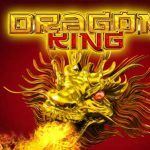 Something that makes this particular game stand out is that you get some options when it comes to which type of free spins bonus round you want. 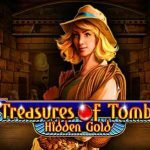 You can opt for a number of free spins with some extra wilds on the screen, or you can take even more free spins with fewer extra wilds. The latter option has a somewhat lower volatility, but the overall value of the feature options are the same. This game has the same option to play for the “big bet” to get an RTP of 99 percent, and that’s something that players who can afford it should definitely opt for. 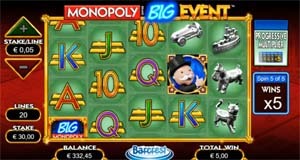 Just like with Monopoly Big Event, this extra RTP is achieved by adding value to both the bonus feature and normal play. By balancing out where the extra value is distributed, it keeps the game from having too much or too little volatility overall. Ooh Aah Dracula has a couple of major features. The first is a free spins bonus round that you trigger by scoring three or more of the heart symbols on the reels. You get at least 15 free spins with extra wilds avialable on the screen to give you better chances at hitting winning combinations and to extend the winning combinations that you would have made anyway to make them longer. The second feature is the Graveyard Bonus Feature, which just has you pick between a half-dozen graves to get an instant win. Mega Joker is a slot by NetEnt that’s a bit different than the two we have listed above. Instead of being a video slot, it’s a three-reel classic slot, but there are actually six reels on the game in two sets. You start your play on the bottom set of reels in the normal mode, but you can play the super meter mode (the top set of reels) for better payouts and prizes by wagering your winnings from the normal mode. To maximize your RTP in this game, you should play the super mode as much as possible. By doing so, you’re wagering winnings that you’ve made earlier in the game, so it’s not really any different in the long run compared to how much you would spend in regular play. Since you don’t have to actually wager some huge amount, this makes Mega Joker a bit more accessible to players who don’t want to spend as much. If you play as much as you can in the super mode, then you’ll achieve a long-term RTP of 99+ percent. 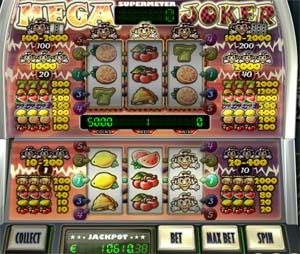 Mega Joker is a classic slot that does not have free spin bonus features or other normal types of features. However, what it does have is the Joker symbol, which can pay in a lot of extra ways during the super mode. You can get the best joker-based wins if you play for as many coins as you can in super mode. Players can wager 20, 40, 100 or 200 coins, but if you keep it maxed out at all times no matter what your previous wins are, then you’ll keep your RTP as high as possible. Earlier we mentioned that there are two ways to boost your RTP: game selection and how you play those games. In Monopoly Big Event and Ooh Aah Dracula, you achieve the high RTP by choosing the larger bet size. In Mega Joker, however, you achieve it by playing the super game every time you get the opportunity to do so. The difference here is between bet sizing and game strategy in the sense that Mega Joker rewards your decisions inside of the game to give you a higher RTP instead of simply giving it to you because you are a high roller. There is something important that cannot be skipped here: Players who have a smaller bankroll will not be able to play the first two games in our short list of three because of the limitations they’ll have on bet sizes. That’s completely fine, and you shouldn’t feel like you’re being left out because of that. There are many options for keeping your RTP as high as possible, and Mega Joker is one of those that happen to allow for a 99+ percent return. With that having been said, there are plenty of high-paying slots, and having a strong bankroll management strategy that you stick to is a critical part of making a high-RTP approach work. Overall, there is a time and a place for both approaches, but many players will find the latter approach much more accessible for their bankroll. Check out our RTP database for more loose slots.